Vanity Fair named Brian Regan “the funniest stand-up alive,” and Entertainment Weekly called him “your favorite comedian’s favorite comedian.” Having built his 30-plus year career on the strength of his material alone, Brian’s non-stop theater tour continuously fills the most beautiful venues across North America, visiting close to 100 cities each year. Brian premiered his seventh hour of comedy, the Netflix special, “Brian Regan: ” Nunchucks and Flamethrower”,” on November 21, 2017. This is the first special in a two-special deal with Netflix, joining Brian with Dave Chappelle, Chris Rock, Jerry Seinfeld and others in multi-special deals with the leader in worldwide streaming. Brian’s second Netflix special is planned for release in 2019. Taking a leap into the acting world, director Peter Farrelly personally cast Brian in his new TV series, “Loudermilk”, on The Audience Network. “Loudermilk” premiered to rave reviews on October 17, 2017, with Brian earning accolades in the role of “Mugsy,” a recovering addict who is estranged from his family. Brian appeared at Carnegie Hall on November 11, 2017 following years of performances in New York City’s finest theaters including Lincoln Center’s Avery Fisher Hall, The Beacon Theater and Radio City Music Hall. Brian’s tour has included regular visits to Denver’s legendary 8,600-seat Red Rocks Amphitheater and the 12,500-seat Energy Solutions Arena in Salt Lake City. 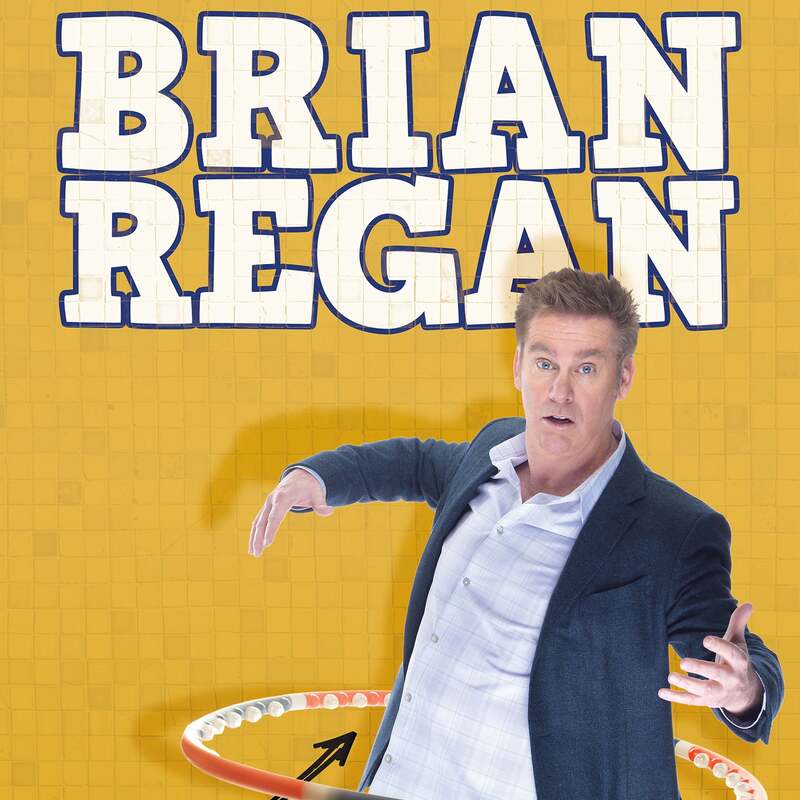 In 2015, Brian made history with his stand-up special, “Brian Regan: Live from Radio City Music Hall,” as the first live broadcast of a stand-up special in Comedy Central’s history. A regular on The Tonight Show Starring Jimmy Fallon, Brian is the rare guest who the show invites on for two segments: a performance segment and a segment on the couch to chat with Jimmy. Previously, Brian was a regular guest on The Late Show with David Letterman, making 28 appearances on the hit CBS show.